... then you might enjoy The Girl With the Dragon Tattoo. What do you do if you’re like me: just a regular nerd who is obsessed with many, many things? How do you balance your TV obsession with your incessant need to read any and all books that pass through your hands? How do you find time to be on top of both? How do you figure out what’s worth your time? Well, it's funny that you should ask, because this series is all about the two great loves of my life: books and television. (The order changes depending on the day. For instance, a week or so ago, I just finished a really, really good book, so books gain priority in this instance). But this series is not going to be just just about those two things as separate entities in my life. Mostly it’s about combining them, about finding a middle ground: about finding a way to incorporate what you love in books to what you watch on television and to incorporate the things you love about television into what you read. Because yes, you CAN be a book nerd and a TV aficionado. You don’t have to choose one or the other. You can have the best of both worlds. In fact, that is even encouraged (especially around here). Have you ever fallen in love with a show and just couldn't get enough of it after it ended? Have you ever wondered what books you should read if you loved the characters and the themes and the plot in certain shows? Or, conversely, have you ever read a book and thought, "Hmm, wouldn’t this idea be perfect for TV?" Then this series is the one for you. And even if you’ve never had the experiences that I detailed above happen to you before, have you ever just wanted another good book or TV recommendation because Netflix is beautiful but also a giant black hole of so much programming? Then join us! There’s a lot of love for television and books around here. I watch a lot of television. Like... a lot of television. I can’t even explain how much, honestly. It’s to be expected, of course, considering the fact that I write so much about TV. But that’s not the reason I enjoy watching television shows or watch so many of them (or at least, not the only reason). The fact of the matter is that I just really enjoy watching TV. I love the stories that shows tell, the twists, and the family dynamics present within them. I live for the romances, appreciate the friendships, and sometimes (most times), I even let my emotions cloud my judgment. To me, the people on television are not fictional characters, but rather friends that I’ve yet to meet. Translate my personality and all that I've mentioned above to me watching Breaking Bad, and you can have a pretty good idea of what that particular experience was like. I love Walter White. Maybe I wasn’t supposed to love him. Maybe I wasn’t meant to root for him. I never quite liked what he was doing. But at the beginning, I understood him. I sympathized with him. He just needed to provide for his family. And, then, later, as we got more and more involved in his journey, as he got deeper and deeper into a hole of his own creation, well... I still loved Walter White. I’d fallen for him already. You don’t just stop loving someone because they so something bad, do you? (No. At least, not in my case anyway). You cry, and you scream, and sometimes you even throw things at the screen because the character is just frustrating you or angering you so much. But you persevere. YOUR HEART IS ALREADY COMPROMISED. Look, a funny thing happened to me as I watched Breaking Bad. While I started the journey because of Walt, after awhile – when rooting for Walt became harder and harder (and yet, never impossible) – my heart just latched onto Jesse Pinkman. And I didn't just love Jesse because he happened to be the other character who was there, either. That’s the brilliance of this show in a nutshell – its characters. Sure, the idea and concept were both great, and the plot had enough twists to resemble a pretzel, but both of those elements were only engaging and were only shocking because you actually cared about what happened to these two characters. You were invested. The show is now over, and yet, somehow, you’re still invested in their stories. Invested in Walter, because he gave us our first real taste of an anti-hero that we could root for – one we could maybe even love. One that we loved, despite our best intentions to the contrary. Invested in Jesse, because he was often a bit naïve and yet, always, always loyal. I read a lot of books. I have no good excuse for this like I do with television. I just read a lot. I grew up among books. My dad used to read me Asimov as a bedtime story. It took me many years to understand that The Bicentennial Man wasn’t the type of story kids were usually exposed to, but by the time I did, my love for books was already so ingrained that the notion of age-appropriate books was something I pretty much just scoffed at. Maybe that’s why I now read young adult books, and as a teenager I mostly stuck to classics. I’m just contrary that way. I like to do things differently. Lisbeth Salander first came into my life seven years ago. I was studying for my Masters, living alone and trying to navigate a different country and a different culture. I’ve never had problems making friends. I’m not an introvert like almost everyone else on this site (I love you guys! ), but books were still my constant companions and my constant source of comfort – my friends. The reason I picked up The Girl With the Dragon Tattoo books in the first place won't be readily apparent to you, because the title in English differs quite significantly from the original title in Swedish. I, of course, didn’t read this book in Swedish. I’m smart, but not that smart. I read it in Spanish, however, and the translation from Swedish to Spanish was, for some reason or another, verbatim. “Men Who Hate Women” was the original title of the series. Now, I understand why they didn’t stick with this particular title when they translated the book to English. It sounds like a psychology term paper, not a best-selling novel. But for a girl striking out on her own and trying to figure out what feminism meant in regards to me and my life... well, the title was more than enough to make me pick up the book. It also helped that the second book, in Spanish, was titled, not "The Girl Who Played With Fire" (which is safe, and a bit boring), but "The Girl Who Dreamed of a Match and a Can of Petrol." Let's be honest here, that just sounds like a book you have to read, doesn’t it? There was even a matchbox on the cover! Back to Lisbeth Salander, our tattooed, powerful, hacker of a main character. Lisbeth is not only The Girl With the Dragon Tattoo’s Walter White: she also gets the dubious honor of being one of the strongest female characters in recent literature. She’s not a bad person, and she has good reasons for most of the stuff she does. And yet, she isn’t exactly a hero or one of the good guys either. Not that you care about that moral ambiguity, really. After a while, you only care about Lisbeth as a character and as a human being. Don’t let the movie version of this book fool you, though. This book is not about Mikael Blomkvist (Daniel Craig notwithstanding). This is all about Lisbeth’s journey. The title hero that we love despite our best intentions is, this time, a woman. Isn’t that a good enough reason to give this book series a try? 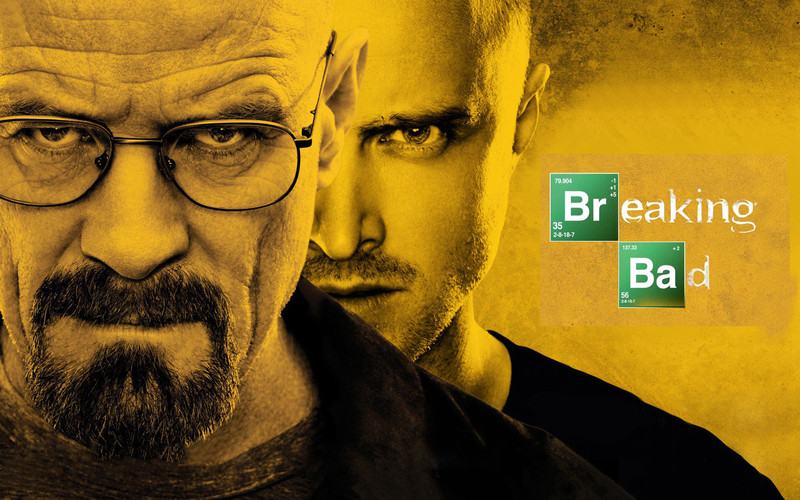 Because Walter White made us root for these characters. And because Lisbeth Salander is not only an anti-hero, but she’s one of the most intriguing fictional characters in recent memory, and also one of the strongest females I’ve ever had the pleasure of getting to know through literature or any other medium.